DRINKING FOUNTAIN: earlier 20th century; grey granite; cast-iron dressings; 2 foresteps form plinth; central oval niche holds basin; upper part of niche shell moulding; dedication stone at head with Art Nouveau dressings. GARDENS: horseshoe shape stepped garden; rubble steps; granite steps at each end. WALLS AND RAILINGS: coped, square and snecked rubble wall; inverted bow shape; half-ball finials; stairs at each end; half lamp standards at heads of stairs. 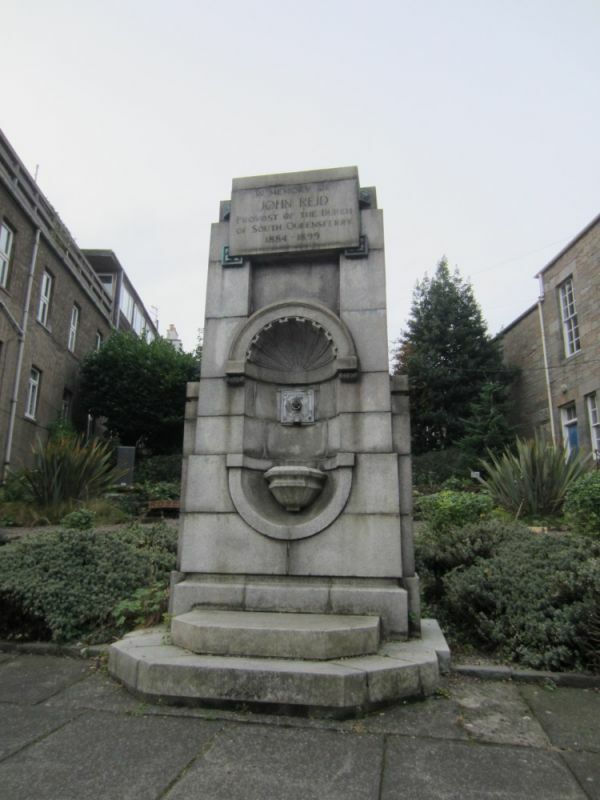 The drinking fountain is dedicated to John Reid, Provost of Queensferry 1884-1899.